Another Cruz Upset in 2016? 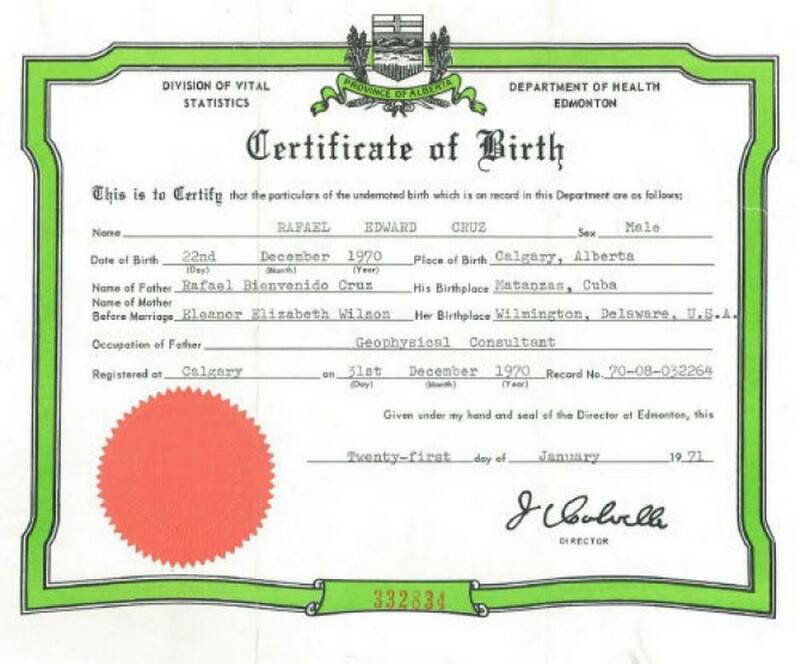 The Truth Behind Ted Cruz’s Lies The junior senator from Texas is running for president. Here’s why his lies matter. At some point, if Cruz starts to move up in the polls, the media and his Republican opponents will start to focus on Senator Cruz’s propensity to not tell the truth, which makes the title of his new book, “A time for Truth,” more than a little ironic. Click here to read a very unfriendly (but mostly accurate) article of March 22, 2015 from The Daily Beast, quoted in part below. This month, Cruz released a short video that’s the best evidence yet for what a Cruz presidential campaign might be like. It’s called “A Time for Truth,” and the title has to be intentional irony. It’s not just Cruz’s habit of embellishment that makes the video’s title more wish-fulfillment than description. One would expect a video entitled “A Time for Truth” to contain, you know, truth. Or calls to speak the truth, at the very least. Cruz’s infomercial, on the other hand, is simply a collection of Cruz clips wherein he apparently confuses speaking the truth with speaking very dramatically and forcefully. It is the Ugly American approach to foreign language in moral form. Watch as Cruz loudly proclaims he will stand up for various things! He also asks for others to stand up for things! It’s a tic in the vernacular of the evangelical subculture Cruz hails from to think of extravagantly passionate sincerity as evidence of honesty and probity. So perhaps Cruz’s substitution of one for the other is not an intentional bait-and-switch. Let’s indulge a thought experiment: What if, in all those cases where Cruz’s passionate sincerity has been found to be trustworthy, he meant what he said at the time? We take it for granted that politicians lie to gain votes, to make themselves more appealing, or to make someone else look bad. But what if Cruz wasn’t craven, but instead as sincere as he sounds. What would that mean? Cruz isn’t just looking at different data, he’s living in a different universe. There are objective falsehoods that show Cruz could just be looking at a different set of data. Other, more telling whoppers show that Cruz isn’t just looking at different data, he’s living in a different universe. Grim news for Ted: 38% of Republicans say they could not support Ted Cruz if he were the nominee and 40% say they could. 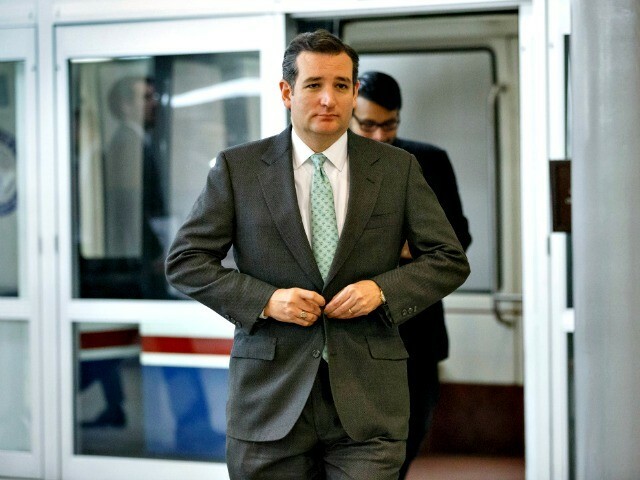 [D]espite Cruz’s popularity with tea party conservatives, the Republican from Texas will start off in the 2016 polls as something of an also-ran — averaging just 5.5 percent support. This is at least somewhat understandable for two reasons: 1) Cruz isn’t that well-known nationally to casual followers of politics, and 2) there are a lot of viable potential GOP candidates. This makes it difficult for any one of them to look very strong in early polls, relative to past years when fewer big-name candidates were splitting up the vote. But Cruz’s ballot-test numbers aren’t the only ones that don’t look great for him — or perhaps more accurately, aren’t as good as you might think. No, you also could make a pretty strong argument that Cruz’s take-no-prisoners style (on display during the 2013 government shutdown) has alienated plenty of Republicans, too. And overall, his national brand is a little less sterling than you might think for a supposed conservative hero. 1) An NBC News/Wall Street Journal poll released this month showed that 38 percent of Republicans said they couldn’t see themselves backing Cruz, with 40 percent saying they could support him. The only other top-tier candidate with a worse ratio of potential supporters to non-starters was New Jersey Gov. Chris Christie (32 percent to 57 percent), whose issues with the GOP base are well-established. And the number of Republicans who said they couldn’t back Cruz was on par with former Florida governor Jeb Bush (42 percent), former Texas governor Rick Perry (40) and Sen. Rand Paul of Kentucky (40), all who have much clearer reasons for their detractors — Bush because of his more moderate positions on immigration and Common Core, Perry because of his disastrous 2012 campaign, and Paul because of his libertarianism and non-interventionist foreign policy. Ted Cruz must first win the support of the GOP’s anti-establishment wing before he can take on Jeb Bush to win the nomination. To win the Republican nomination, Mr. Cruz will have to bring together the party’s anti-establishment wing, which is made of separate-but-overlapping voter blocs, including Christian conservatives, libertarians and Tea Party voters angry with the leadership of both parties. His ultimate goal is to get into a one-on-one campaign against whoever emerges as the favorite of establishment Republicans. To do this, he must find a way to stand out in a crowded lane of conservative hopefuls. In a general election, Mr. Cruz would not attempt to win over centrist voters as much as he would try to galvanize conservatives who did not vote in recent presidential elections because they were dissatisfied with the choices. Mr. Cruz’s primary prospects depend on a strong performance in Iowa or South Carolina, both of which include substantial numbers of Christian conservatives. If he is unable to win one of those early states, or at least be one of the top conservatives in the states that kick off the nominating process, he will have a difficult time surviving into March, when there is likely to be a rapid succession of contests. 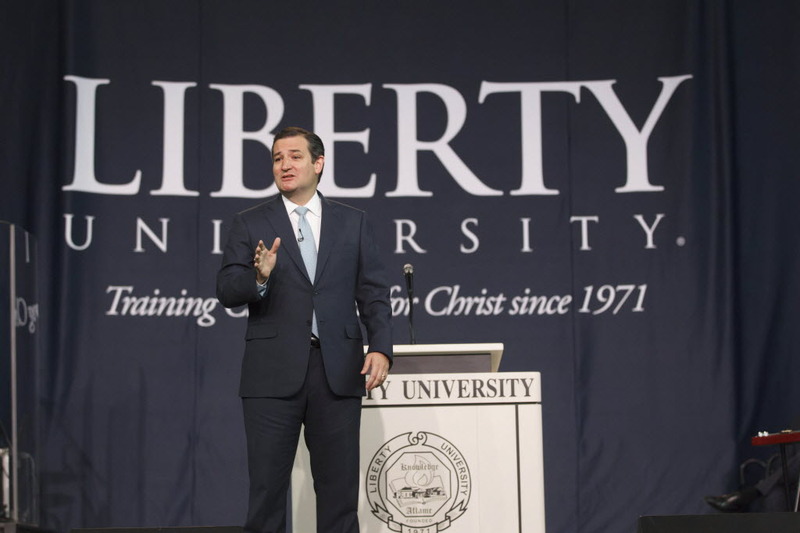 Will Ted Cruz announce presidential bid Monday at Liberty U? The topic of Sen. Ted Cruz’s speech Monday morning at Liberty University remained mysterious on Saturday. Campaign aides continued urging reporters to attend, calling it an “important” speech. But they still declined either to shoot down or confirm speculation that Cruz will use the appearance to announce a presidential exploratory committee, or even to formally launch his 2016 campaign. Such a move would preempt a number of rivals in the crowded GOP field – in particular, Sen. Rand Paul of Kentucky, who reportedly plans an announcement in Louisville on April 7, during a two-week Senate recess. Texas Sen. Ted Cruz has hired Brian Phillips as senior adviser to his political action committee, the latest move to beef up his staff for a possible run at the 2016 GOP presidential nomination. 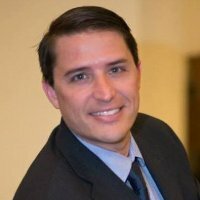 Mr. Phillips, the former communications director for Sen. Mike Lee, Utah Republican, will officially join Mr. Cruz’s Jobs, Growth, and Freedom PAC on March 14, he confirmed Monday to The Washington Times. Click here to read the full March 9, 2015 article from the Washington Times quoted in part above. Crazy for Cruz – Praise Be Ted! Cruz – the new Joe McCarthy? 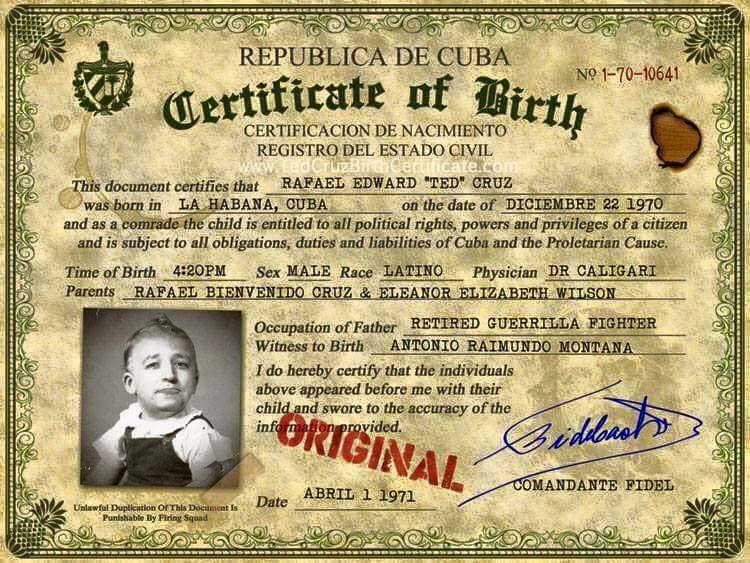 Cruz was not born in America!